Our recovering warriors have sacrificed so much while serving our nation. Now it's our turn to serve them. Help us set the dinner table to help begin the healing. Make your donation today. 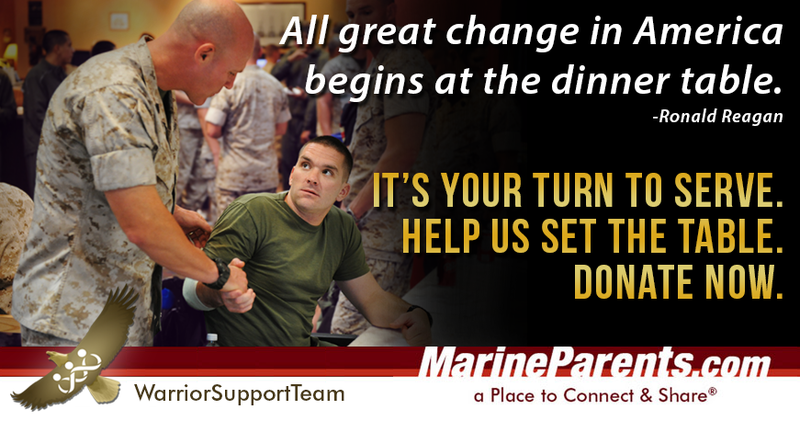 Our goal is to raise $4,000 per month to continue serving meals at military medical facilities on both coasts. Learn more in our first article. The Marine Corps Marathon lottery has announced the lucky recipients of bibs for their 2016 Marathon being held the end of October. 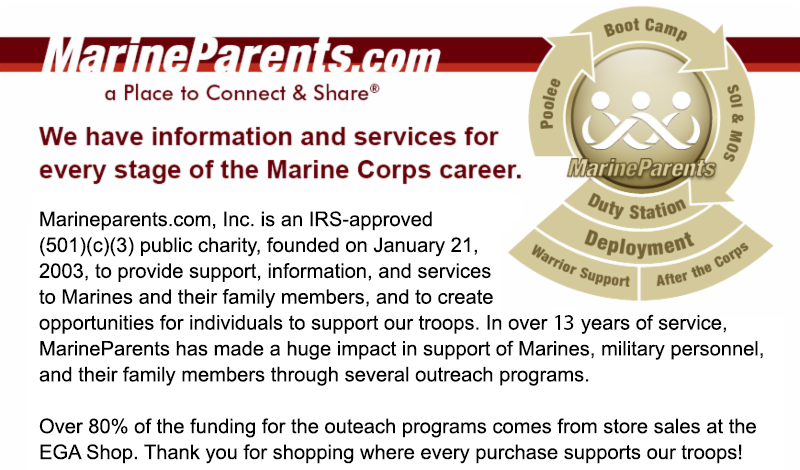 If you did NOT get your bib in the lottery, we have additional bibs as a Marine Corps official charity partner. Read the article below to sign up or learn more. The aforementioned quote was uttered by former president Ronald Reagan during his farewell address, delivered on January 11, 1989, from the Oval Office. Here at Marine Parents, we think these words are just as relevant in 2015 as they were more than two-and-a-half decades ago. With that sentiment in mind, we need your help raising $4,000 each month to help our Warrior Support Team continue serving dinners to recovering warriors. While serving dinners may seem like a small thing, they are loved by the men and women who attend them. And we need your help to ensure that they continue. This week's featured volunteer is a proud Marine mother and Facebook volunteer from Montana--Shelly Mees Crowther. Shelly has been volunteering with us since March of 2015, and she currently serves as the Recruit Parents Facebook Groups Volunteer as the 3rd Battalion Company Leader for Mike Company, San Diego. Shelly found us when her son youngest son left for boot camp in January of 2015 and decided to volunteer with us shortly thereafter, Initially, Shelly served as a Platoon Parent, and when she was asked to be the Company Leader for Mike Company, she didn't hesitate to say yes. Shelly has now completed three cycles as a Company Leader and has met some "awesome" people during that time. According to Marine Parents Facebook Groups Manager, Teresita Reynolds, " Shelly is one of the strongest leaders in the Marine Parents Facebook groups. Her unfailing support and encouragement of our members is exemplary." In addition to volunteering on Facebook, Shelly is also a member of Team Marine Parents and is currently training for the 2016 Marine Corps Marathon in October. Thank you, Shelly, for all that you do on our behalf. We greatly appreciate your dedication and support! 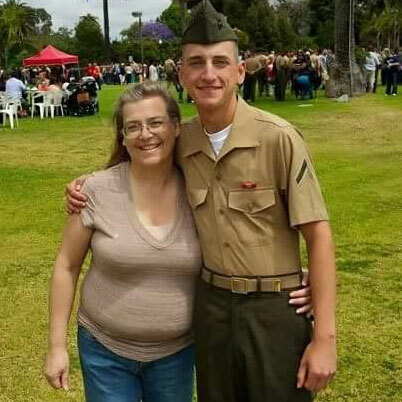 *Image info: Shelly Mees Crowther and her Marine son. 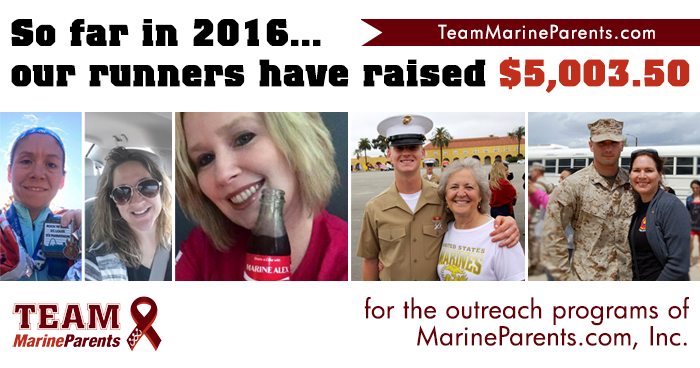 2016 Registration for Team Marine Parents is now open! 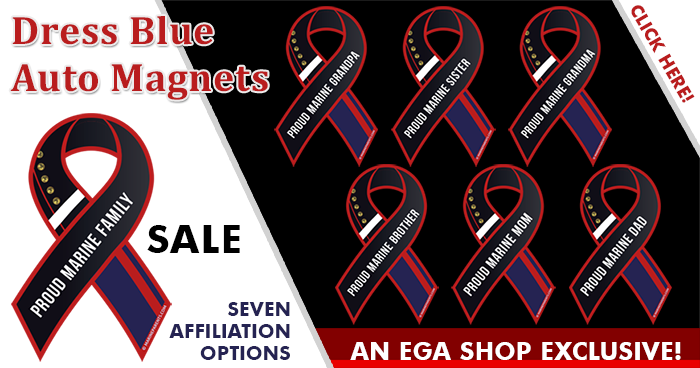 Raising awareness and funds for a grassroots organization starts on a grassroots level; it starts with YOU. 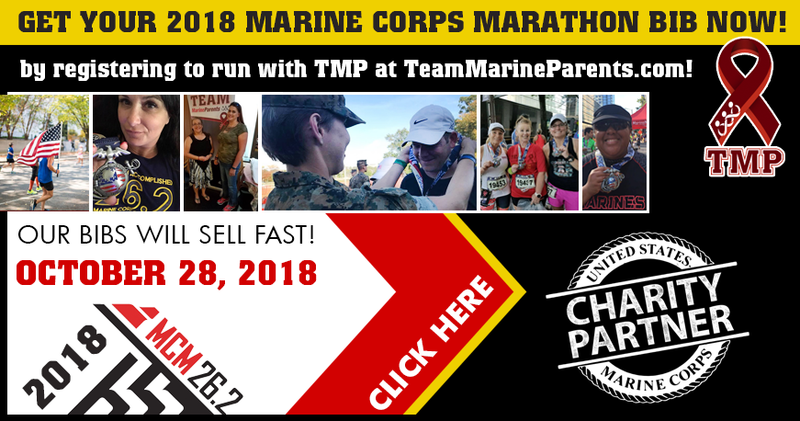 If you enjoy running or competing in athletic events, encouraging communities to engage in troop support activities, and raising money for a good cause, then TMP is a great fit for you. 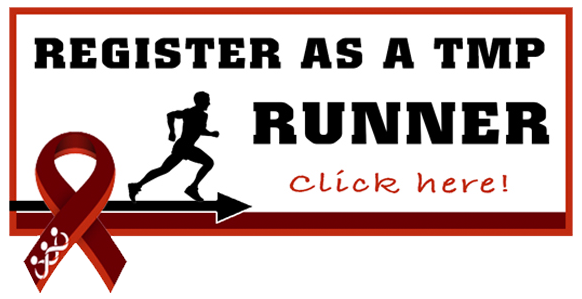 Also, if you are planning on running the 41st Marine Corps Marathon, consider running with TMP. We only have 26 charity partner bibs remaining, so if you didn't make it in through the lottery, join the team and get your bib today! 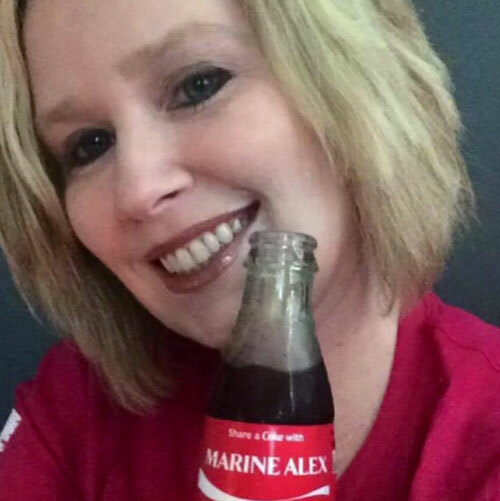 This week's TMP featured participant is a proud Marine mother from North Carolina--Tracie Lankford. Tracie's son graduated MCRD Parris Island on August 28, 2015 and in addition to being a member of TMP, Tracie is also a Recruit Parents Facebook Groups Volunteer, currently serving as the Alpha Company Group Guide for Parris Island. Tracie will be running in this year's Marine Corps Marathon in October, and she has currently raised $425 of her $700 fundraising goal. We know that with your support and generosity, she can reach that goal in no time. Thank you, Tracie, for being a part of the team and for all that you do on our behalf! Good luck in October! Earning the title of "Marine" isn't something limited to American-born individuals. Every year, men and women from around the world join the Marine Corps with the goal of not only protecting our country at home and abroad, but also to earn the rights and privileges of American citizenship. This past Saturday, April 23, four retired Vietnam-era Marines reunited in St. Augustine, Florida to replicate a photo they took 50 years ago. 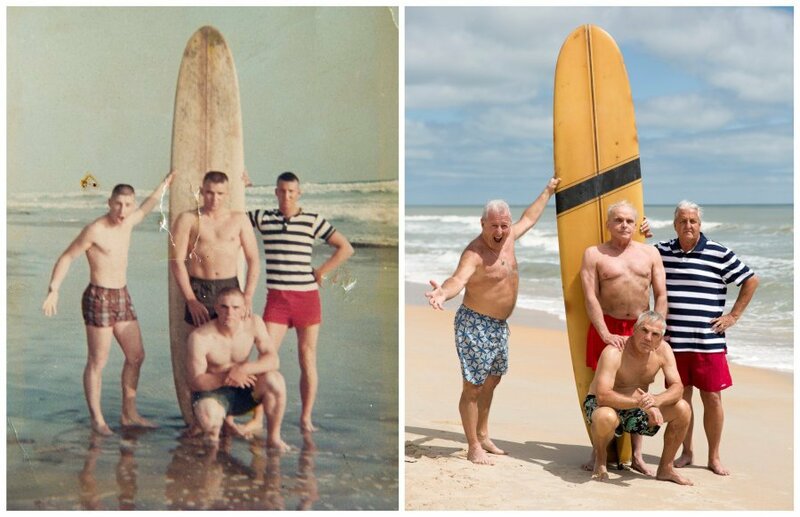 The original photograph, taken in May of 1966, shows Bob Falk, then 21, Bob DeVenzia, then 20, and Dennis Puleo and Tom Hanks, both 19 at the time, posing in front of a surfboard on a beach in Oceanside, California, near Camp Pendleton, where the men were stationed at the time. All four men served in Vietnam as Marine infantrymen--three were machine gunners and one an anti-tank man--and two earned Purple Hearts. Following their time in the Corps, the men went in different directions, eventually losing touch for a number of years. About five years ago, Falk and Hanks reconnected online, an event that would eventually lead to this reunion. Initially, the men would meet a couple at a time, but never all at once. Then, while looking through an old photo album one day, Hanks came across the original picture and decided the group should recreate it. DeVenzia, Falk, and Hanks were all enthusiastic about the reunion, but it took a bit of convincing to get Puleo (who later said he was glad he came) to join. Eventually, he agreed and, for the first time in half a century, the four friends were together once again. *Image info: Top row, from left: Dennis Puleo, Tom Hanks, Bob Falk. Bottom row: Bob DeVenzia. On Sunday, April 24, the U.S. military has announced that its week-long earthquake relief mission to Japan’s Kumamoto Prefecture is coming to an end. During the recovery efforts, U.S. service members delivered more than 115 tons of supplies to Japanese personnel after was struck by numerous earthquakes and aftershocks beginning on April 14. 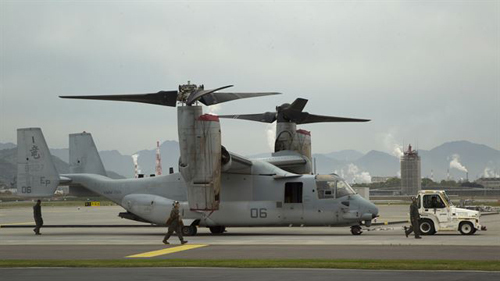 Marine Corps Osprey tiltrotor aircraft, Air Force C-130 cargo planes, and Army UC-35 transports flew a combined 20 missions delivering supplies and Japanese personnel to the affected areas. *Image info: MV-22B Ospreys with Marine Medium Tiltrotor Squadron 265, 31st Marine Expeditionary Unit arrived at Marine Corps Air Station Iwakuni, Japan, April 18, 2016 to aid in recovery efforts after a series of earthquakes struck the island of Kyushu. A Marine veteran who turned his company's time during the 77-day siege of Khe Sanh, Vietnam, into the award-winning 2011 documentary “Bravo! Common Men, Uncommon Valor” will be honored with the National Society Daughters of the American Revolution’s (NSDAR) highest award. “Bravo! Common Men, Uncommon Valor” examines the Battle of Khe Sanh from the perspective of Company B, 1st Battalion, 26th Marine Regiment, and includes interviews with more than a dozen survivors, never-before-heard audio, after-action reports, and photos from the siege. Last Friday, April 22, General Joseph Dunford, Chairman of the Joint Chiefs of Staff, visited a firebase in Iraq to present Purple Heart medals to four Marines wounded in a March 19 rocket attack on the base by ISIS fighters that left eight Marines injured and one Marine, Staff Sergeant Louis Cardin,of Temecula, California, dead. “In all the years, I have not awarded anybody a Purple Heart on the ground where they received the Purple Heart,” Dunford said in a military news release. Dunford, who served as the Commandant of the Marine Corps prior to assuming his current role, wanted to get a firsthand look at what the Marines at the base are doing and let them know that he supports them, said his spokesman Navy Capt. Gregory Hicks. Dunford did not take any members of the media with him for the presentation of the medals, as he did not want the Marines to think he was only there for a photo op. 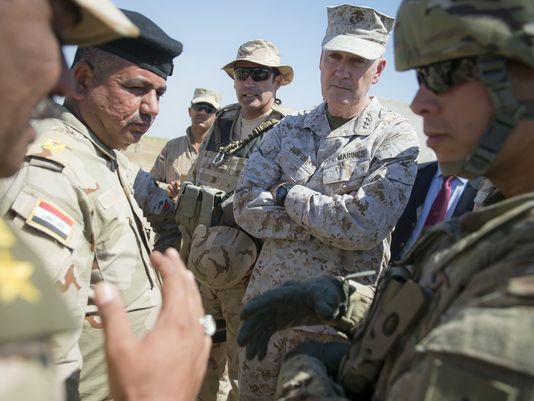 *Image info: General Joseph Dunford, chairman of the Joint Chiefs of Staff, meets with Iraqi leaders and coalition trainers at Besmaya Range Complex on April 21. One-hundred and nineteen years ago this week, on April 25, 1897, future Medal of Honor recipient Merritt "Red Mike" Edson was born in Chester, Vermont. In October 1917, Edson received his commission as a Second Lieutenant in the Marine Corps, and served in France and Germany during World War I. Following the war, Edson held several positions before going to flight school in 1922. After graduating flight school and being designated a Naval Aviator , he performed several assignments in Central America and China. When World War II broke out, Edson was assigned as the Commanding officer of the Marine Raiders. While commanding Marine Raiders on Guadalcanal, Edson earned the Medal of Honor for the defense of Lunga Ridge on September 13-14, 1942. During the battle, Edson's Raider Battalion, along with two companies of the 1st Parachute Battalion, were assigned to defend Lunga Ridge, a short distance south of Henderson Field in what was supposed to be a relatively uneventful mission. On the first evening of the mission, 2,500 Japanese forces unexpectedly attacked Edson and the approximately 800 Marines under his command. 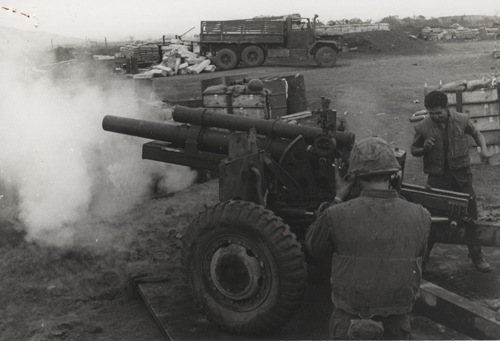 Edson and his Marines withstood repeated assaults by the Japanese, despite sustaining 256 casualties. 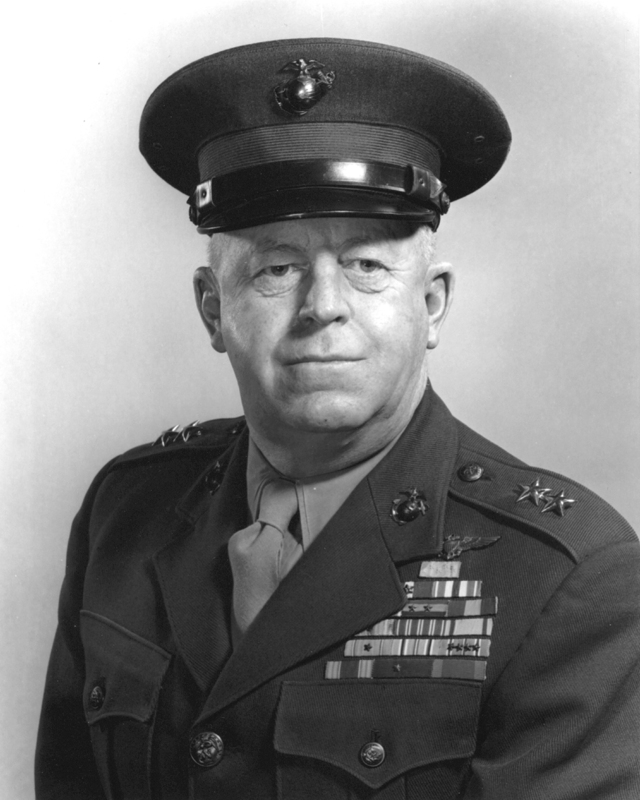 After the battle, Edson was awarded the Medal of Honor for his, " extraordinary heroism and conspicuous intrepidity above and beyond the call of duty..."
Edson retired from the Marine Corps in 1947, after being promoted to the rank of Major General. Following his time in the Corps, Edson became the first Commissioner of the Vermont State Police before later serving as the Executive Director of the National Rifle Association. In addition to the Medal of Honor, Edson also earned two Navy Crosses, the Silver Star, and two Legions of Merit during his time in the Corps. *Image info: Merritt Edson (USMC photo/released). 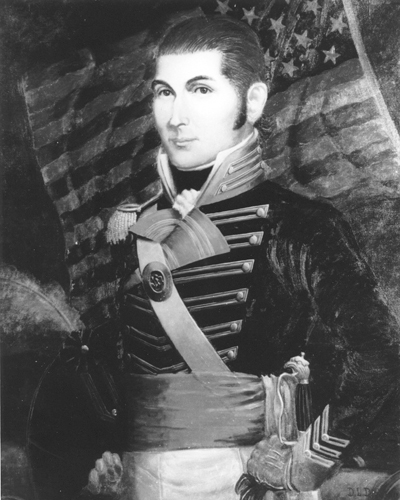 Two-hundred and eleven years ago this week, on April 27, 1805, First Lieutenant Presley O'Bannon and seven other Marines, along with Greek and Arab forces, who were under the command of American Consul William Eaton raised the American flag over the fortress at Derne, a pirate stronghold in Tripoli. This was the first time the American flag had been raised over a conquered fortress in the Old World. Two Marines were killed and another was injured in the assault on the city. 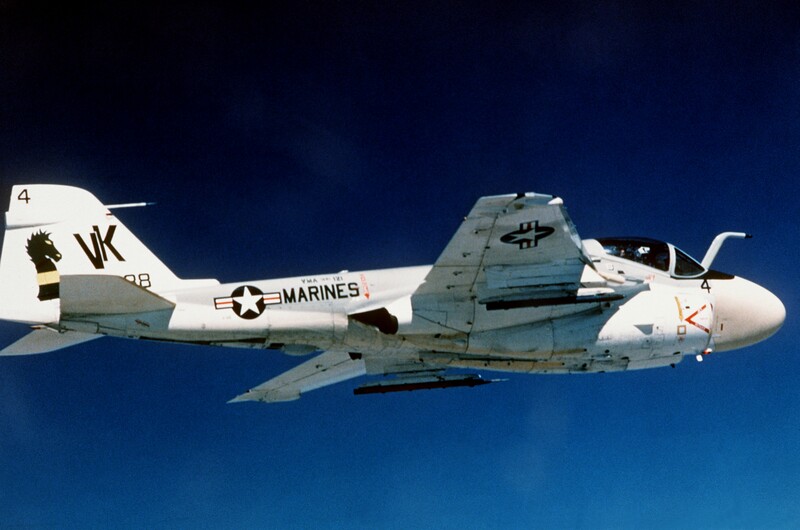 Twenty-three years ago this week, on April 28, 1993, the last A-6E Intruder was decommissioned from Marine Corps service. All-Weather Attack Squadron 332 transferred the last Marine A-6E to St. Augustine, Florida, and prepared for the squadron's transition to the F/A-18D and relocation from Cherry Point to Beaufort, South Carolina.